I’ve heard your groan as we move from Thanksgiving to the continuous holiday season. Here are the most common fears. I’m going to feel awful. I’m going to gain all this weight. I’m going to drink too much. I’m going to eat all the wrong things. Remember that what we concentrate on is what happens. So concentrate on coming out of the holiday ready to go, not with the guilts. Breathe, help is here. It is more than possible to weigh less, feel better and go into the New Year without the body deficit. 1. Look at the events you will be participating in through the season. It is not required that you eat or drink everything that is offered. The only person who will feel you are being rude is you. I promise you, no one else will notice, except Aunt Ella, and she’ll just pat you on the head and call you dear. 2. If you know that the food offered will be so far off your norm that feeling awful is a given, offer to bring something. 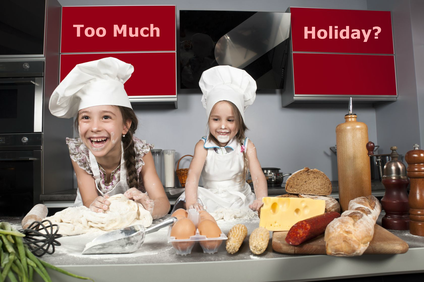 Then choose which of the other offerings will most fulfill your holiday happiness with the least damage. 3. Drink more water than you usually do. With the extra eggnog and alcohol, you will get dehydrated. You need the extra water to keep you going. 4. Don’t forget your exercise. Suggest a nice walk after dinner. You’ll get some takers, and all of you will feel better for it. It’s also social. 5. Support your body. By this I mean, use your nutritional supplements religiously. I also use extra digestive enzymes. If you are lactose intolerant, be sure to have a supply of lactase enzymes. My clients generally come out of the holidays feeling great. They have participated and celebrated, but they also did it while living consciously.